Stakeholders in the HDBaseT ecosystem — Alliance members, manufacturers, and integrators — will converge in Sitges, Barcelona, October 16-18, for the HDBaseT World Congress. The Congress will engage the community in robust discussions, panels, networking, and working groups to shape the future of the HDBaseT solution. In this online series, AV Technology magazine will introduce select speakers and presentations to the community. Today we meet Ariel Sobelman, president of the Alliance, who will present "The State of the HDBaseT Nation” at the World Congress. The Abstract: HDBaseT has brought many benefits to the world of connectivity in several sectors, simplifying the delivery of high-throughput content while optimizing performance and reducing total cost-of-ownership. As our lives become intrinsically intertwined – with home, office, and car environments merging into each other – HDBaseT can address each of these sectors specific challenges, creating increased opportunities for growth. 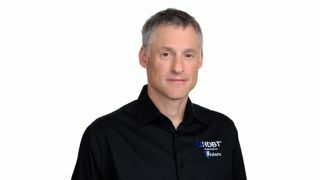 What To Expect: In this session, Ariel will provide an overview of where HDBaseT stands now and what to expect going forward.